The Grobag is a revolutionary baby sleep bag that allows the baby to sleep comfortably through the night. With these sleeping bags the traditional sheets and blankets have become a thing of the past. 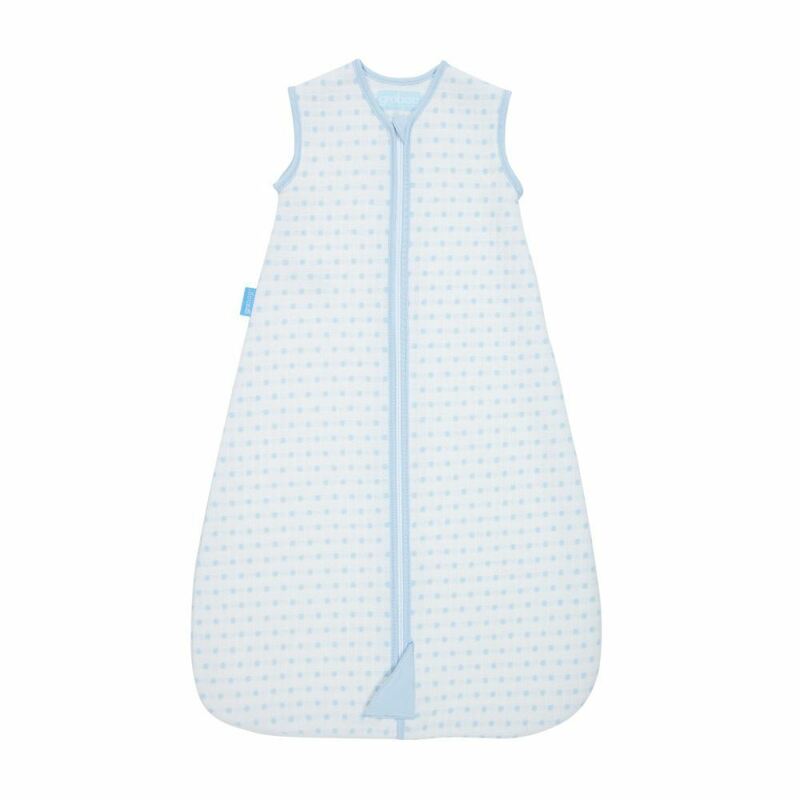 These are made with high quality material and has an award winning design that does not leave your baby feeling too cold or too hot in the grobag. This Grobag comes in a jacquard fabric and has knitted pockets for that extra softness and air flow. It is available in 1 warmth rating called Tog to make sure that your baby is sleepig at the right temperature inside the grobag. The factors that determine the tog rating of the bag depend upon the number of clothes that the baby is wearing, room temperature and baby's health. The nursery thermometer (included) can be used to pick the correct tog. The best time to use the Grobag is when the baby weighs more than 4kg which is 0-6 month. The head of the baby should not be able to pass through the neck hole of the bag when fastened else it means that the bag is too big. Front zip on all sizes.